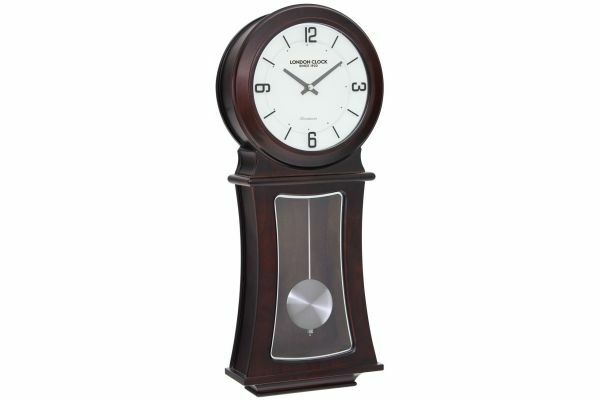 A beautiful dark wood finish long case wall clock with silver swinging pendulum. Has a crisp white dial with decorative highlights around. Made by the British brand London clock co.